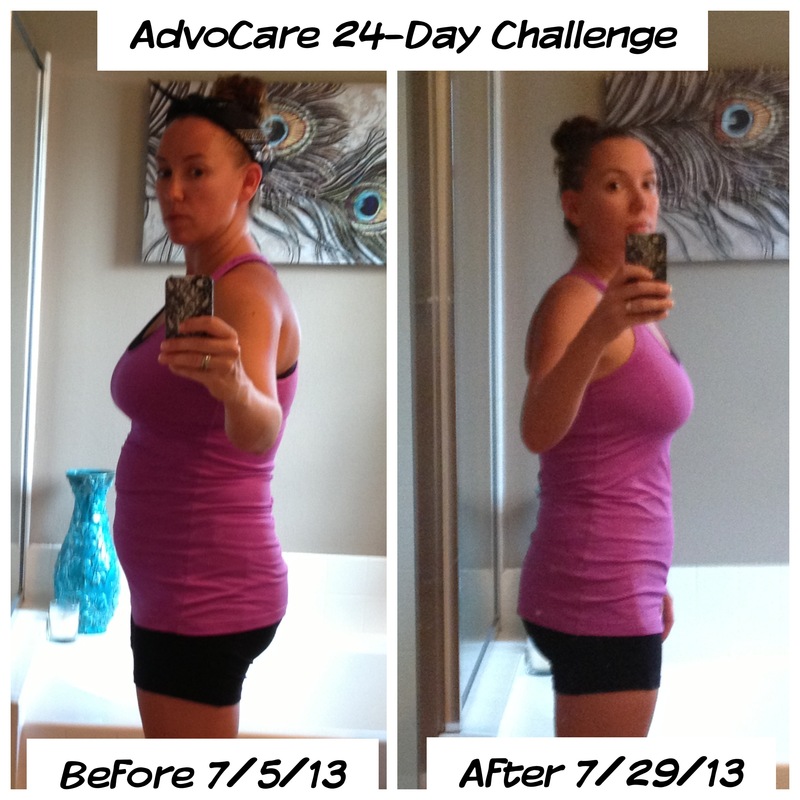 I thought I would change things up this Workout Wednesday and have a guest blogger come on over to share their experience with the Advocare 24 Day Challenge. My good friend Ryann from Recipes By Ryann just posted THIS wonderful post about some huge changes she has made to lose almost 25 lbs over the past 5 months. I really enjoyed doing a similar guest post on my friend Jenny’s blog after I completed the Challenge and thought I would ask the same of Ryann. She had some fantastic results that are definitely share-worthy! Thanks for sharing Ryann and congratulations on such impressive job over the last 24 days! What’s your name, where are you from, and tell us a tiny bit about yourself? Hi, there! My name is Ryann Smith Groseclose. I grew up in a tiny California desert town called Ridgecrest. I went to college at Chico State (Go, Wildcats!) where I majored in English and minored in Business Administration, and I’ve been living in Southern California for close to 14 years now. I’m a married mommy of two little kiddos, a writer/editor by profession, an avid Baltimore Ravens fan, and I fancy myself a decent cook. I’ve also recently developed a pretty serious addiction to running. What’s your blog’s name and what can we expect to read there? About a year ago I started Recipes by Ryann. I love finding dishes that look yummy and then tweaking them a little to make them healthier and easier for the busy, health-conscious folks out there. Most of my posts are recipes but I also just posted a blog on my 24-Day Challenge results. Why did you want to take the Advocare 24 Day Challenge? 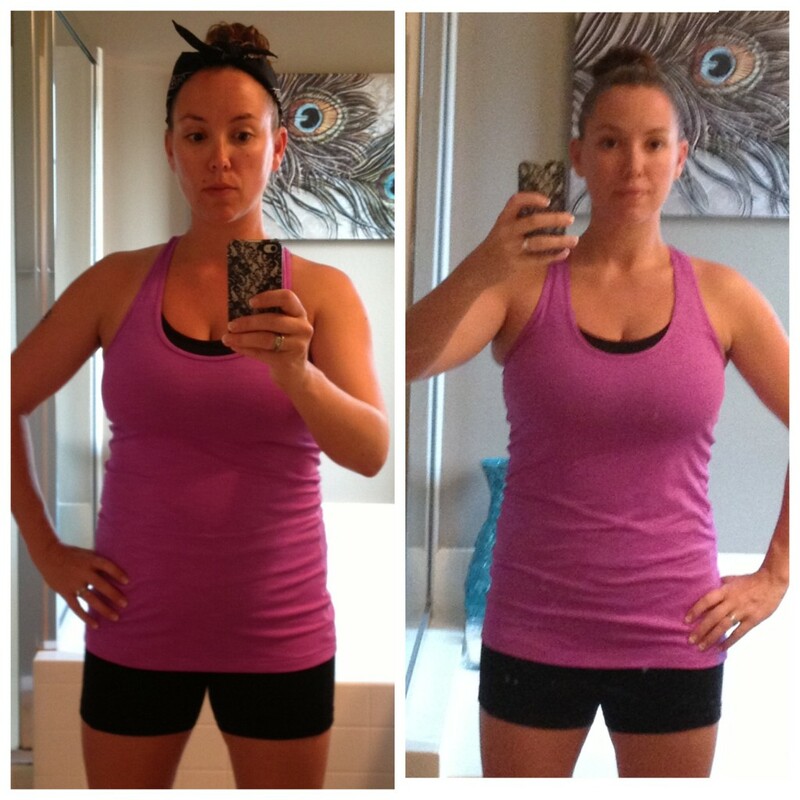 I was blown away by my friend Lauren’s success. You might know her She looked INCREDIBLE. Ten pounds lost on the challenge and 15 more in the following months? How could I not be inspired to take the challenge myself?!? That and I’d kind of plateaued in my weight loss and wanted something to kick-start my metabolism. What did you find to be the most difficult part of 24 Day Challenge? If you had asked me before I started, I would have guessed that not drinking wine would have been my biggest challenge. But it turns out, I’m more of a coffee junkie than I realized. Thank goodness for Spark! That energy-boosting drink got me through many rough mornings and more than a few afternoon slumps. What did you enjoy most about the Challenge? Did you see my before/after pic? Just kidding…sort of. Obviously, the results are amazing. But I just can’t describe how good—and healthy!—I feel. It’s truly amazing. Well, I lost a total of 10 pounds and 6.75 total inches during the 3.5-week challenge. What is your favorite clean eating “go-to” dinner throughout the week? I really like turkey taco salad with lots of fresh lettuce, tomatoes, and red onion and kidney or black beans for added protein. Another one of our favorites was this “pasta” dish from my blog. I cut back on the cheese but otherwise, it was the perfect meal during the challenge. Did you exercise on the Challenge? If so, what did you include? Absolutely. I’ve been training for a half marathon so I did a handful of short runs during the week and one long run on the weekends. I also started a Boot Camp class a few times so I could add in some resistance training. The 24 days is up! What’s next for you? Well, again, I’m still training for the half marathon in October. I plan to keep up with the clean eating, exercising, and taking some of the AdvoCare supplements (Catalyst, Spark, etc.). I’d like to lose a few more pounds but I’m more focused on how I look and feel rather than hitting a specific number on the scale. Would you recommend the 24 Day Challenge to a friend? Without a doubt! I love what the 24-Day Challenge has done for me and I can only hope that my friends and family can experience similar results for themselves! Her results are amazing! So happy that she loves the products as much as we do. Congrats Ryann! Amazing results! My husband went through the 24 day challenge and I’m getting ready to do one myself! I can’t wait!